SPA is a silence and relaxation zone. 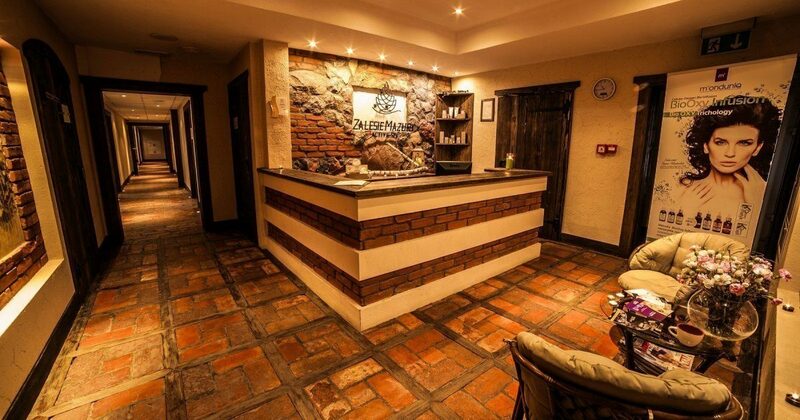 Our SPA is open daily from 10:00 am until 9:00 pm. Saunas and bath are activated on the Guests’ request. Please inform the SPA reception in advance if you would like to use sauna. In order to receive a bath towel in SPA, you need to show your towel card. Changing wet bath towels takes place once a day, between 8:00 pm and 9:00 pm. Children under 13 can stay on the SPA premises only in their parents’ company and at chosen hours. Children under 13 my not use the beach room, saunas and bath. The SPA zone is a non-smoking area. Drinking alcohol, bringing in glass packings, chewing gum is strictly forbidden. The staff does not bear liability for the possessions left behind in cabinets or on the SPA premises. Please change your clothes in the changing room and leave your personal belongings in the cabinets destined for this purpose. When using the SPA services, you can purchase beverages available on the SPA premises and served exclusively in safe vessels. In the SPA zone, special precaution must be taken: do not run around, do not jump into the Jacuzzi bathtubs. You may not take your personal MP3 devices, cameras or cell phone to SPA. whose personal hygiene is far from universally acknowledged standards. People violating the public order or the SPA regulations shall be removed from the facility without the right for reimbursement of entry costs. The SPA premises are a silence zone. The SPA staff may ask those persons who violate the silence rule or in any other way disturb the peace and comfort of other Guests to leave the zone. Entering the SPA zone requires changing the footwear (for flip-flops) right upon coming to the SPA reception. If you do not have your own flip-flops, please buy them at the SPA reception. Recommended is using the toilet before entering the SPA premises. Please wash your body carefully in the shower before entering the SPA zone. Children may use Jacuzzi only under the care of adults. You enter the sauna barefooted and wearing bath towels only, without swimming costumes or briefs. You use the bath wearing swimming costumes / briefs without bath towels and flip-flops. Only the Guests using SPA treatments may receive free bathrobes. During your stay, you may ask for a new bathrobe, the cost of such a service amounts to 20 PLN. On request, you can rent a bathrobe for 20 PLN. Please report any problems, errors or faults of the equipment which might influence using the SPA recreational zone to the SPA staff. For the sake of your safety and the safety of other Guests, please follow these regulations. Please come to the SPA zone at least 5 minutes before your treatment begins so that you have enough time to fill in the health questionnaire. If you are late for the treatment, the duration of your procedure shall be reduced. Remember to inform the SPA reception about changing the time or cancelling the treatment at least 5 hours in advance. Otherwise, you shall be burdened with the treatment cost. Treatment are paid in advance.